Lt. 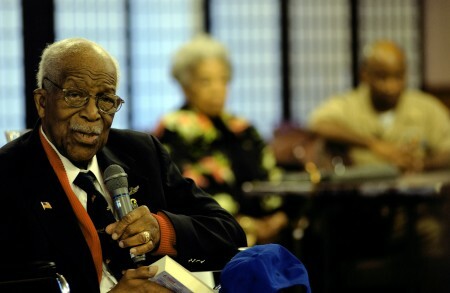 Colonel Charles W. Dryden (USAF-Retired) died June 24 after a brief illness. 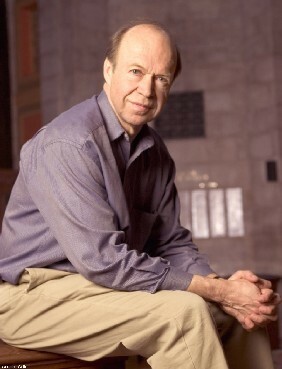 He would have been 88 years old in September. As reported in Nashville’s The Tennessee Tribrune, Colonel Dryden and his bride of 32 years, Marynal Morgan Dryden, never stopped living life to the fullest. 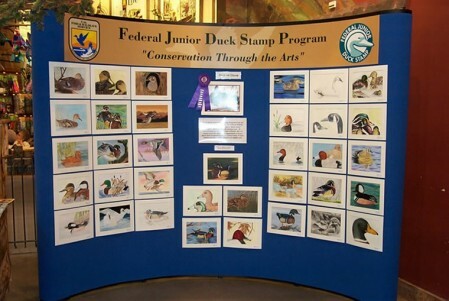 The Montgomery County Democratic Party, in partnership with Clarksville For Obama, will host a Democratic Convention Watch Party on August 28, 2008 at the Montgomery County Democratic Party headquarters building, 534 Madison Street (on the corner of University and Madison street) starting at 7:00 p.m.
An exhibit of Duck Stamp art by area students is now on exhibit at the Custom House Museum in downtown Clarksville. The exhibit is small, confined to a single wall panel, but features wonderful mixed media drawings and paintings by young artists. 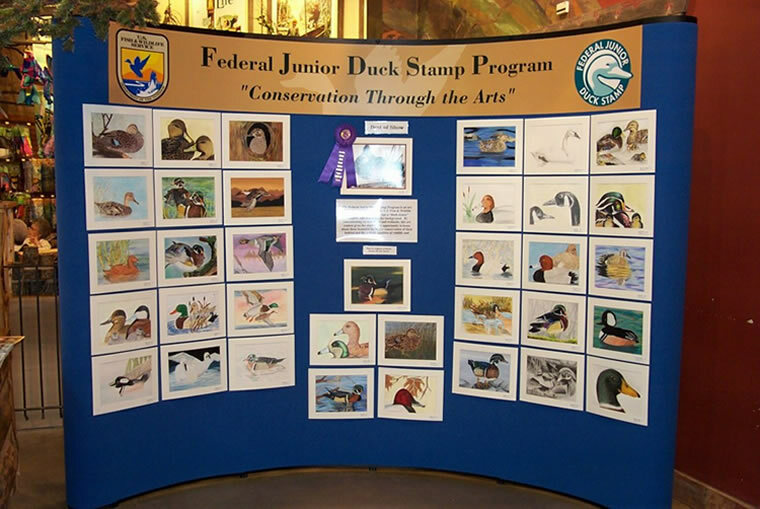 The Duck Stamp exhibit is part of a statewide initiative to bring awareness to local wildlife and its ecosystems. Rodin's classic tribute to love: The Kiss, from his epic The Gates of Hell. At the peak of his career, Auguste Rodin was regarded as the greatest sculptor since Michelangelo. Devotees of classic art are in for a very early holiday gift in September, courtesy of the Frist Center for the Visual Arts, which will showcase a stunning exhibition of the work of Auguste Rodin. Rodin: A Magnificent Obsession, a collection from the the Iris and B. Gerald Cantor Foundation, is the upcoming retrospective of Rodin. Among the 60 pieces in this exhibit are casts of The Thinker (circa 1880) and The Kiss (1881-82), both drawn from his classic The Gates of Hell. 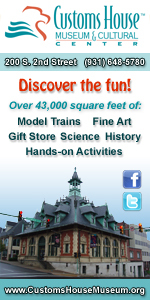 The exhibit opens September 12th in Nashville and will run through January 4, 2009. 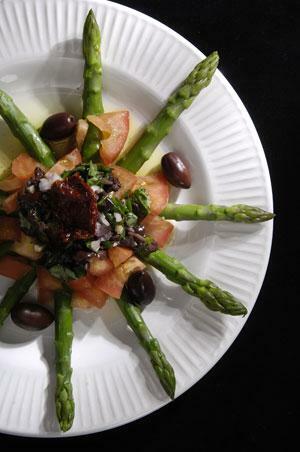 NASHVILLE, TN: Saint Thomas Heart has announced the Fall/Early Winter 2008 schedule for the Heart Healthy Cooking School, a series of free cooking demonstrations and tastings. Thomas Heart cardiologists discussing the importance of healthy eating in improving overall cardiac health. The audience was small but enthusiastic at Opry Mills 20 in Nashville last night for the national premiere of I.O.U.S.A. and a live panel broadcast that put the opinions and experience of five fiscal leader in the line of fire from the public. 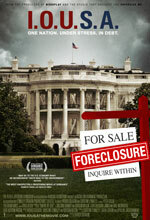 For one night only, both Opry Mills and Nashville’s Green Hills cinemas screened what can only be described as a new kind of horror film, I.O.U.S.A., a Sundance award-winning documentary on the state of the nation’s finances. The picture isn’t pretty. Local health disparity prevention, education and assistance outreach seeks community support. Musical performances offer spiritual inspiration and financial opportunity to combat health disparities, including the HIV/AIDS pandemic. Veterans Upward Bound: Opening doorway for Veterans! Local veterans technical college and college prep program aids veterans returning to higher education pursuits. The APSU site awaits area veterans with services and assistance to enhance life advancement, age being no barrier. Local ministry effort confronts HIV/AIDS pandemic. 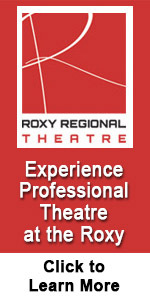 Offers general health advisories and assistance to those suffering from the disease. 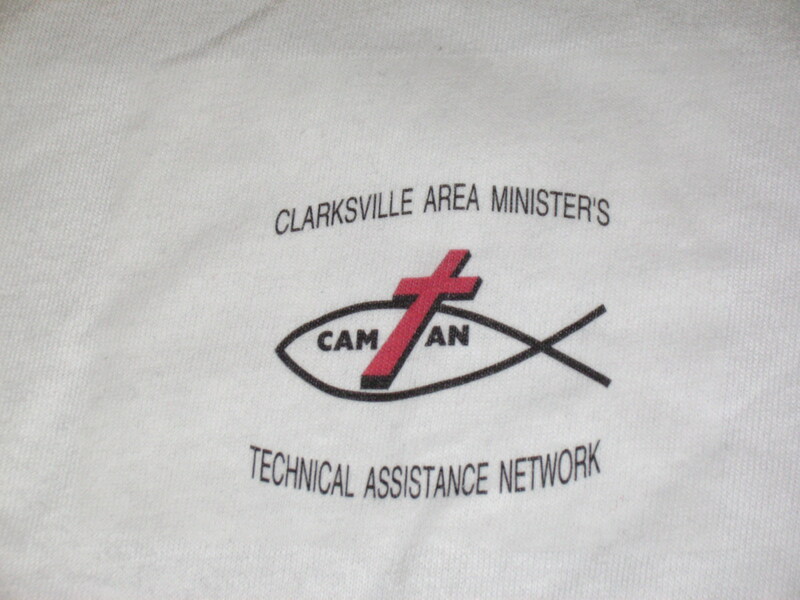 Five years ago, a meeting of local area ministers resulted in the founding of the Clarksville Area Ministers Technical Assistance Network, CAMTAN. A non-profit group organized to provide mental, physical, and spiritual assistance to those confronting an HIV/AIDS infection. 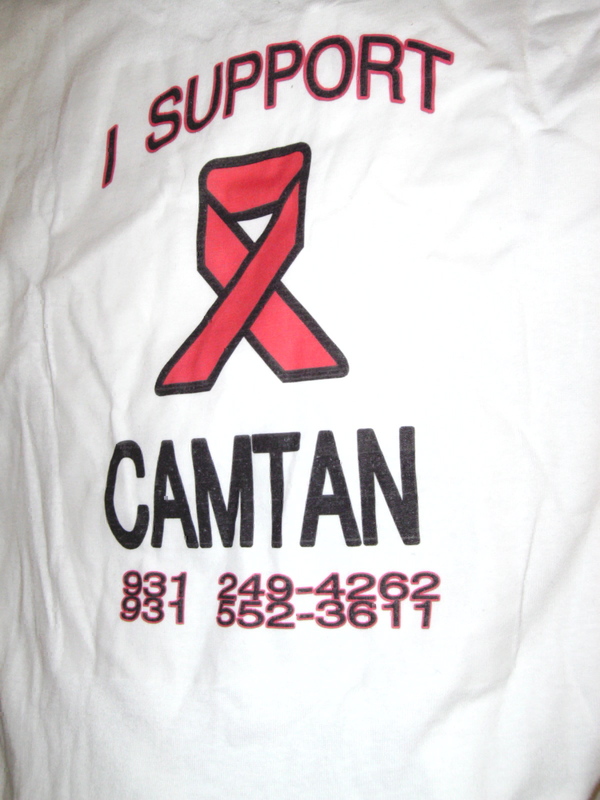 CAMTAN also seeks to provide capacity building faith-based responses to HIV/AIDS. The organization furthers seeks to combat this disease with a prevention education outreach campaign as well. Dispelling the vast amount of misinformation and simply false data about this disease that is circulating within the community takes a considerable amount their time. CAMTAN’s client service area includes the city of Clarksville; Montgomery, Robertson, Chetham, Dickson, Stewart, Houston and Humphreys Counties. Clarksville is the central operation base. In her periodic newsletter and update, Goddard College Professor Catherine Lowther circulates these “Words of warming”. With her permission, we pass this item to our readers. As the world hots up, so does the market for books about climate change. Tim Flannery, author of The Weather Makers, looks at the latest works on the crisis, and sizes up their solutions, from nuclear energy to genetically engineered trees.